Sam Shephard is on the bottom rung of detective training in Dunedin, and her boss makes sure she knows it. She gets involved in her first homicide investigation there when a university student is murdered in the Botanic Gardens. Sam soon discovers this is not an isolated incident. There is the chilling prospect of a predator loose in Dunedin. Is the murderer in the circus or closer to home? 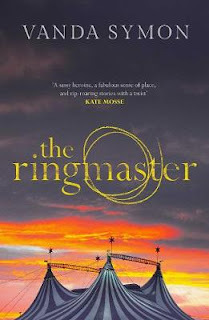 The death of a brilliant young woman, a circus in town, high stakes university research, the ringmaster a monster of a boss, a critical Mum, and a persistent suitor – just some of the happenings in Sam Shephard’s second outing, this time as a trainee detective in Dunedin. Throughout the wide-ranging plot of The Ringmaster is the image of a young woman, Rose-Marie Bateman, face-down dead in the Water of the Leith in Dunedin Botanic Garden. This is the image constantly reappearing in Sam’s mind as she fights bullying in the force, sexism in the city, and a mounting sense of danger to her own safety. Added to that is great guilt for her actions in one of the most riveting incidents in the book, one that had me, and Sam, in tears.